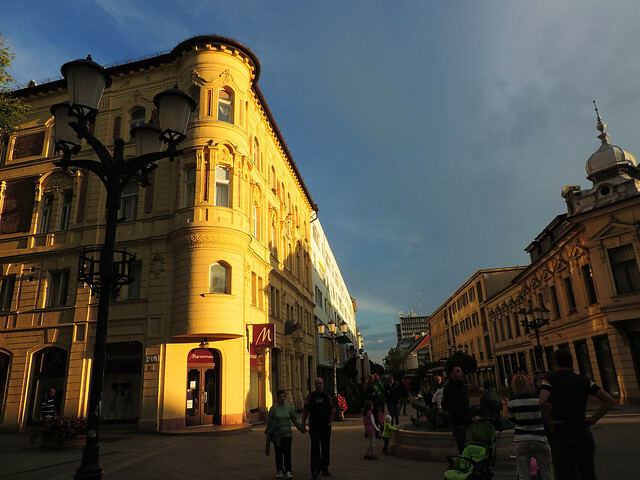 As part of this series featuring our favorite Hungarian cities beyond Budapest we’ve already written about four different cities from four different parts of Hungary: Szeged, Pécs, Sopron and Esztergom. 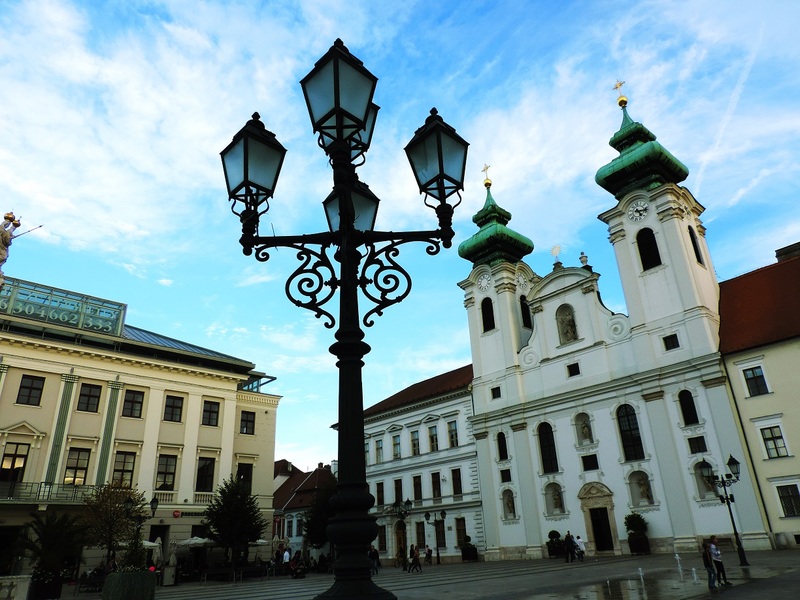 Today we want to show you a city that you can visit on your way from Budapest to Sopron. 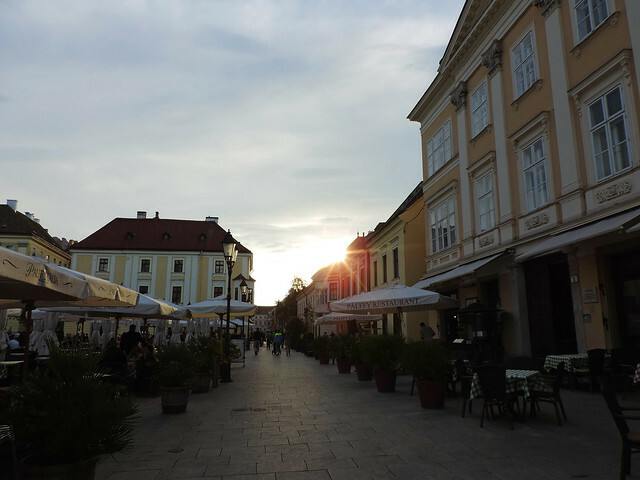 And this is Győr, the city of meetings. Why this title? In the first place Győr is right at the meeting point of three rivers: Danube, Rába and Rábca. On the other hand it’s just about halfway between Budapest and Vienna and it’s the center of Northwestern Hungary. 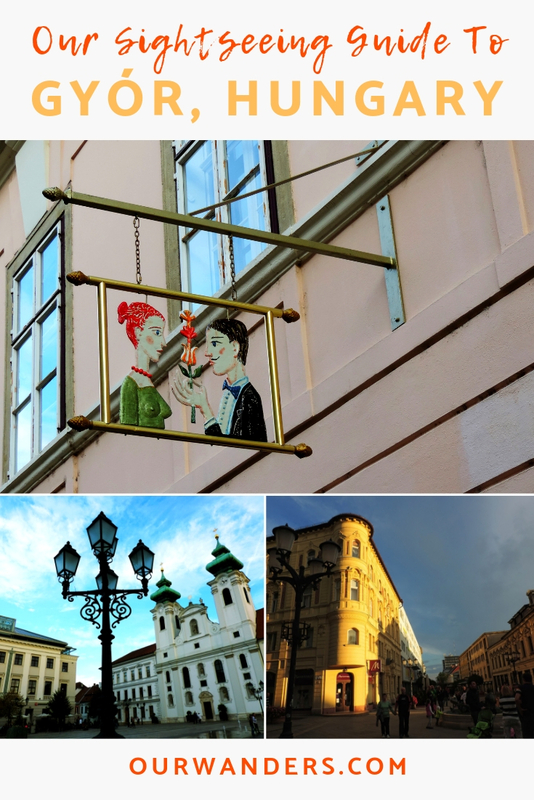 But the most exciting thing about Győr for you as a traveler is probably its beautiful Baroque city center with colorful houses, nicely renovated Baroque mansions and churches. 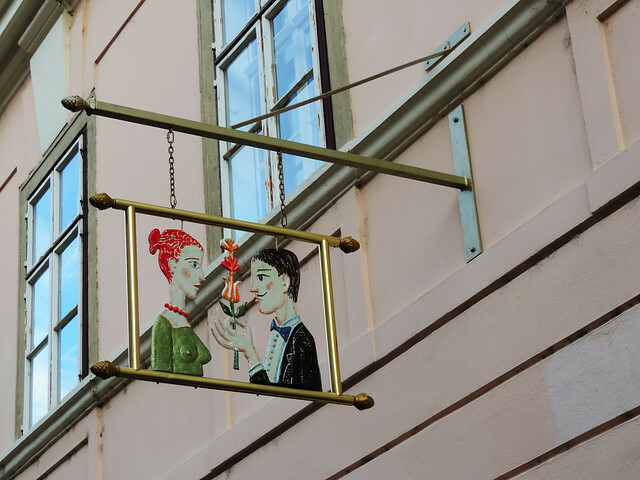 If you read our previous posts about Pécs and Sopron you’re probably not surprised to hear that Győr also has its roots back in the Roman times. The Romans named this place Arrabona and later Celtic tribes, Mongols and Turks occupied it. Finally it was given the title of “Free Royal Town” in 1743. Several religious orders settled here then and they built schools, churches and hospitals – all in Baroque style. And a good amount of those pretty Baroque buildings are well-preserved and nicely renovated today. 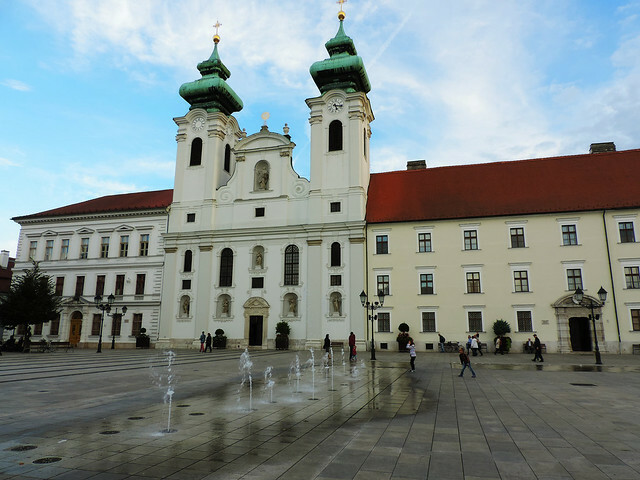 Széchenyi Square (Széchenyi tér) is the main square dominated by a Baroque church – the Benedictine church and monastery – and enclosed by colorful Baroque mansions. Bécsi kapu tér on the other hand is one of the oldest squares of Győr – and surprise, surprise, it’s one of the most beautiful Baroque squares in Hungary. Király Street (Király utca) is a lovely street that connects these two squares. Some other streets worth exploring nearby are Sarkantyú köz, Szabadsajtó utca, Kazinczy utca, Sarló köz and Kisfaludy utca. And then there’s the old and famous church: the Basilica of Győr. 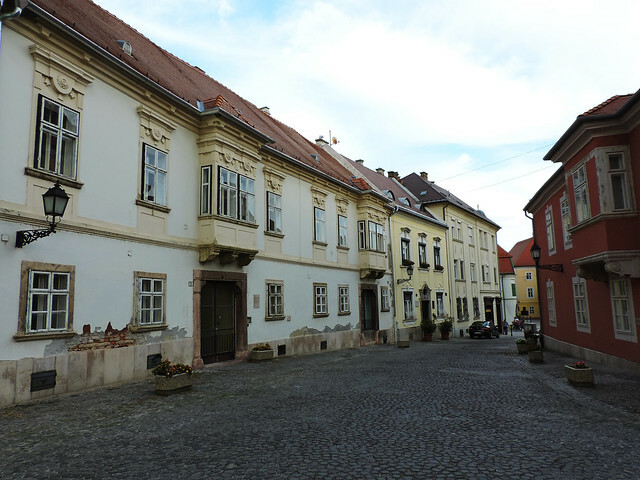 It was founded around 1000 during the reign of St. Stephen, Hungary’s first king. And what if you are tired of walking around? Excellent thermal spas are a specialty of Hungary. Most of the bigger and smaller Hungarian cities offer thermal spas and Győr has its own, too: Rába Quelle Thermal Bath and Spa. There you can even find a pool that has a bar in it. How about relaxing with a cocktail in hand? Or you may just take a seat on a bench on one of the pretty squares with an ice-cream in hand. Győr is 1 hour drive from Budapest and about 2 hours by train. 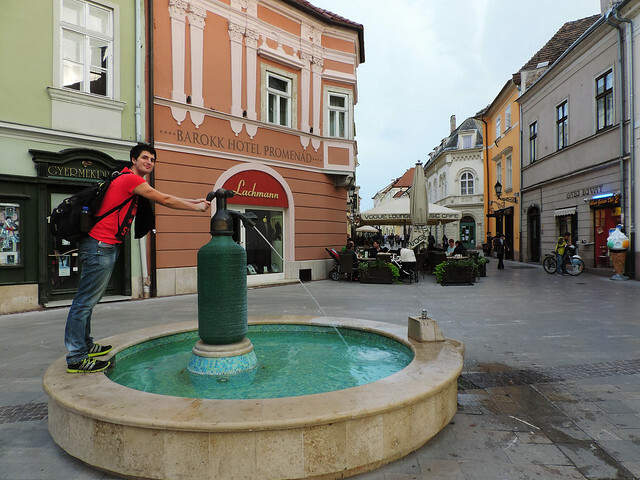 The city center is nice and easily walkable; we didn’t even use public transport in the city. And another unique place to explore near Győr (30 minutes by car, actually) is the Pannonhalma Archabbey. It’s one of the oldest historical monuments in Hungary, a UNESCO World Heritage Site and a beloved wine region. Now your turn… Which cities have amazed you with their architecture? Next post [Video post] Welcome To California’s Fascinating Volcanic Park!